Gunditjamara elder Denise Lovett is pictured with Gib Wettenhall receiving the award in Queens Hall Parliament House on 20 October. 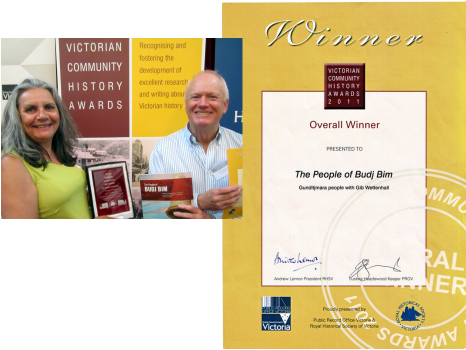 but also a must-read for anyone who wants the full picture on the history of the Western District." Review in The Age by Fiona Capp on 28 August. See full reviews by clicking on Reviews. 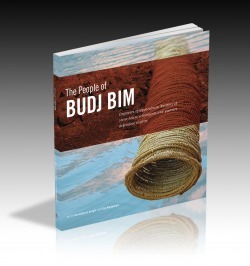 Go to Bookshops to find where you can buy The People of Budj Bim. Or you can buy the book online for $25 inclusive of p & h via the em PRESS Publishing SHOP ONLINE.